It's time to pack for your next trip in this single-slide Four Winds Class C gas motorhome. 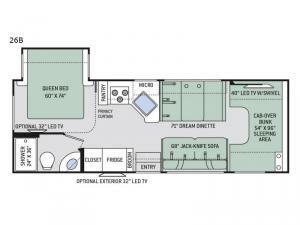 There is a rear bedroom with a privacy curtain and a queen-size bed for mom and dad, and the 54" x 96" bunk over the cab is perfect for the kids. 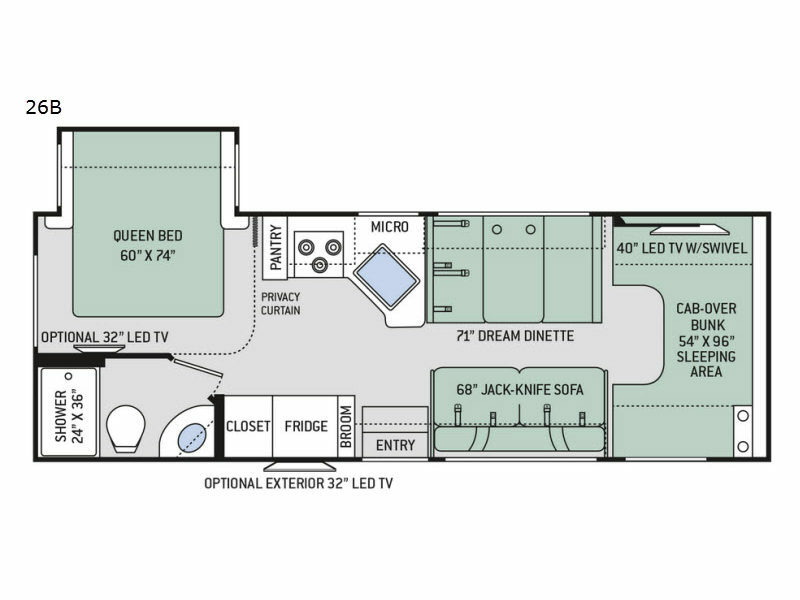 Visit with your family and friends in the main living area on the 68" jackknife sofa or the 71" Dream Dinette or head outside to a couple of picnic chairs around the campfire as you sit underneath the 18' electric awning with LED lights.